Canvas Products Company was established in 1949, in the beautiful city of Grand Junction, Colorado. It has grown from a small local awning and repair shop to a multi-state, full service manufacturer of custom fabric and metal products. 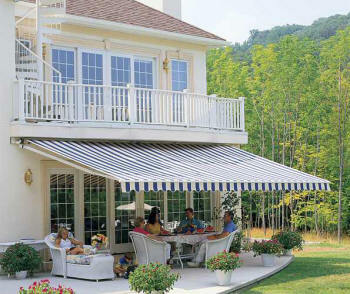 We specialize in Stationary Awnings, Retractable Awnings, Commercial Awnings, Backlit Awnings, Patio Covers, Roll Down Curtains. As well as covers for all of your useful and fun vehicles, including: Boat Covers, RV Covers, Truck Covers, and Truck Tarps. We can also repair all types of fabric products. Give us a call and see what we can do!